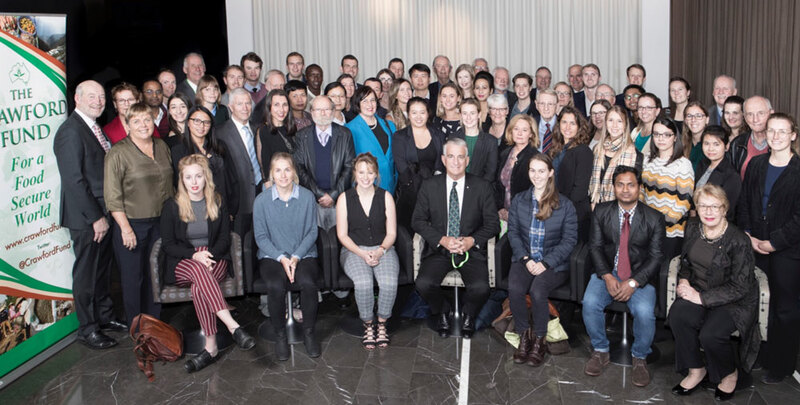 Forty-four young people were sponsored to attend the 2018 Crawford Fund conference in August as part of our conference scholar’s program which we have developed to encourage the next generation in their studies, careers and volunteering in international agricultural development. We proudly present this full set of reflections by the scholars on their conference experience. These reflections are wonderful reading and confirm we continue to offer a unique and rewarding learning, networking and mentoring opportunity. The scholars from around Australia were involved in two ½ days of activities either side of the conference and were provided with opportunities to engage with keynote speakers, experienced Australian agricultural researchers and educators, and other passionate young people who have experience overseas in developing countries as researchers, volunteers or mentors. Half of our scholars were supported by the Crawford Fund’s State Committees, and the other 22 scholars were funded by our loyal and supportive external Scholar Sponsors. Once again, we would like to thank our sponsors and our wonderful mentors who volunteer their time and offer valuable guidance, support and insights to the scholars throughout the conference. Our scholars’ mentors are listed with each scholar’s report. We look forward to growing our conference scholar alumni beyond the current group of almost 270 and would welcome your support for our efforts. If you would like more information about our conference scholar program, please contact Cathy Reade (cathy.reade@crawfordfund.org or 0413 575 934) for more information. The scholar reflections have already been presented on our website, State by State.